Arbok's place on the list was secured thanks to Team Rocket's Jessie. Jessie kept an Ekans as her Pokemon of choice in the first series of the anime. It eventually evolved into Arbok, which looks pretty damn cool. 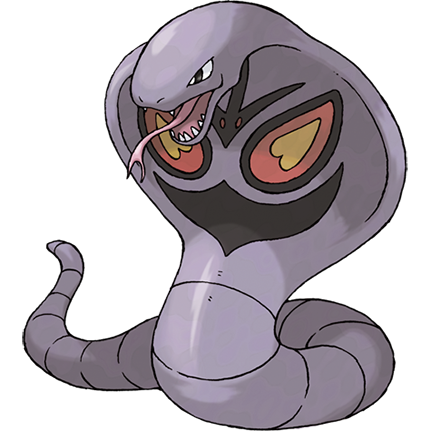 Fun fact, "Ekans" is "snake" spelled backwards, and "Arbok" is "Kobra".